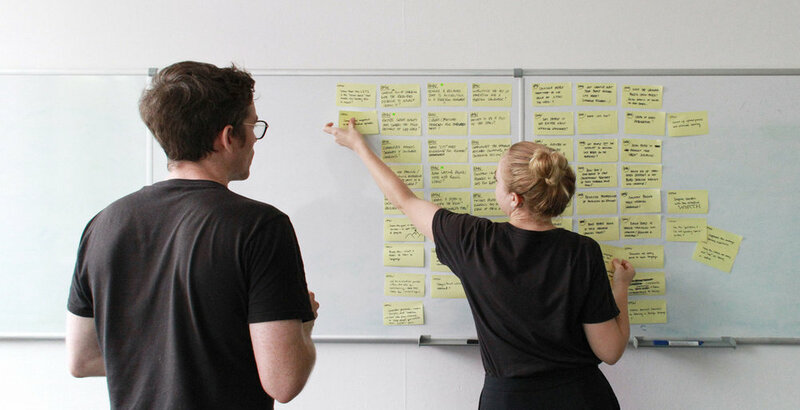 I recently had the opportunity to participate in a 3-day custom design sprint with Quite Ok. I had a great experience and learned a lot in the process of ideation, collaboration, and as the moderator for the user testing. It was a great experience and I look forward to bringing more sprints of various types into my work. Supposedly the origin of the design sprint was a worker at Google. Like many designers or product managers (whatever you want to call the business-minded, tech-savvy creatives who make experiences come alive) this character loved their work, and didn’t mind the long hours. The back and forth with clients, the returning to the drawing board, the sleepless night and rush at the end, after labors and countless emails, the satisfaction of a product the client and users love. It was all good, until they had a new baby, and a family at home. Suddenly there was a good reason to be away from work, and efficiency was needed. Looking at all the processes at work, they set about designing the most efficient way to maximize results, and reduce friction when working with clients. And the design sprint was born.